SRINAGAR, SEPTEMBER 11 (KNO) : Sh. Ram Madhav, National General Secretary, BJP, met Governor Satya Pal Malik at the Raj Bhavan here today. Sh. 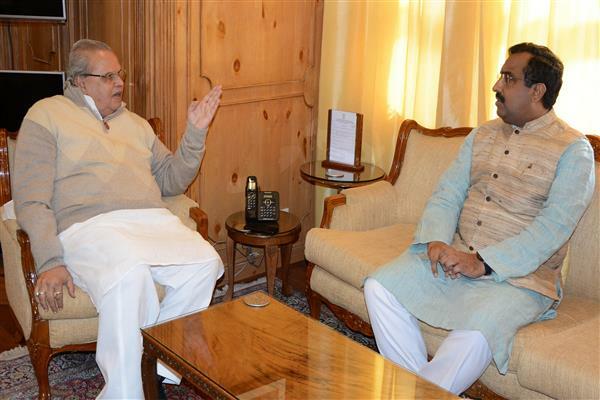 Madhav discussed with Governor several matters relating to ensuring equitable development in the State and shared his Party’s views about upcoming elections to Urban Local Bodies and Panchayats in the State.